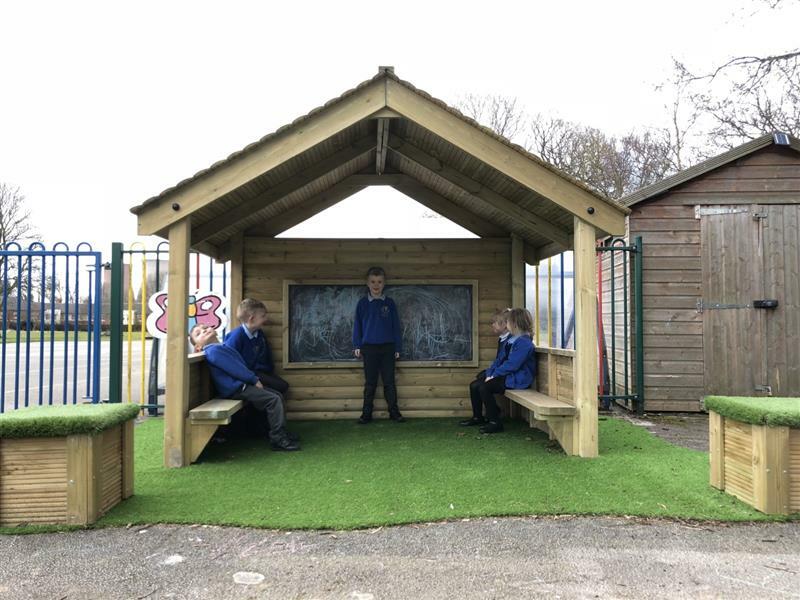 This delightful wooden house, complete with a giant chalkboard and benches, is beautifully crafted with a double pitched roof and half height walls to two sides. Designed specifically with an open entrance that’s the full width of the playhouse, leaving children feeling less confined and allowing for more fluidity of movement, which will encourage children to be more inclusive in their play. The Playhouse is equipped with Den Making holes which can be used to hang role play props. 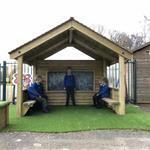 A playhouse such as this will have great benefits in any Early Years setting; engaging children’s imaginations, from which they will get plenty of opportunities to boost social competence and develop their language skills. Putting the prime areas of development to one side, you will find this a fantastic resource in terms of supporting many of the specific areas of learning: use the interior space as a performance zone (expressive arts), take your story telling lessons outside, allowing the children use of the chalkboard to illustrate the stories (literacy) and, of course, you can turn it into a market stall for trading goods (mathematics) – just a few examples of how outdoor learning can be terrific fun.